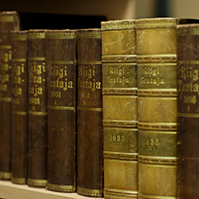 On Thursday, the Riigikogu approved with 52 votes in favour (33 against) the Act on Amendments to the State Fees Act (97 SE), initiated by the Government. The Act amends state fee rates on the basis of the equivalence principle or cost principle upon performance of acts in the area of administration of the Ministry of the Environment, the Ministry of Culture, the Ministry of the Interior, the Ministry of Social Affairs and the Ministry of Economic Affairs and Communications, and in foreign missions. The amendment will have an impact on all undertakings and natural persons who pay state fees in the event of performance of relevant acts or the issue or amendment of permits. The amendment as a whole will not involve new obligations for undertakings or natural persons, and no additional activities will be required of them. The Riigikogu approved with 51 votes in favour (7 against and 7 abstentions) the Act on Amendments to the Citizen of the European Union Act and Amendments to Other Associated Acts (57 SE), initiated by the Government. It brings the Act into conformity with the requirements of the relevant EU directive on the right of citizens of the Union and their family members to move and reside freely within the territory of the Member States. 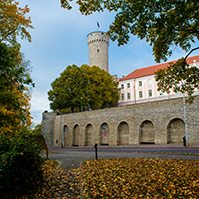 The amendments concern the legal bases for restricting the stay of EU citizens and their family members in Estonia, and the punishments imposed for working here without a legal basis. Also, new elements of a misdemeanour are provided, concerning the stay of EU citizens and their family members in Estonia during prohibition on entry. 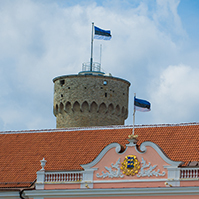 The conditions for the imposition of punishments for taking aliens illegally across the border and for the facilitation of illegal stay in Estonia are also specified. The Social Welfare Bill (98 SE), initiated by the Government. The Bill will clarify the assistance obligation of the state and local governments, and their tasks will be specified. Under the Bill, as of 1 January 2016, local government social services minimum standards will be established for the domestic service, the general care service provided outside of the home, the support person service, the personal assistant service, the asylum service, the shelter service, the provision of social transport, the guaranteeing of dwelling and the debt counselling service. Member of the Social Affairs Committee Jüri Jaanson said that there had been a large discussion in the Committee on the sign language translation service. “As a result of that, a clause was added to the Bill according to which local governments are required to provide all possible services to people who need help, including translation service to persons who have a relevant disability, under the Act concerning assistance to disabled people,” Jaanson said. In Jaanson’s opinion, one of the most important motions to amend was the motion to amend submitted by the Estonian Chamber of Disabled People that would eliminate from the Bill the provision under which people who have been included in the waiting list are excluded from the waiting list if they fail to appear to receive a service within three months. Jaanson said that this Bill does not discuss financing. “No additional funds have been added to the budget under this Bill, because the Bill will not actually increase the financial obligations of local governments. It is simply a special part of the General Part of the Social Code Act, the special part on social welfare as a new text. It marks out the services that so far have been problematic in terms of quality, and provides for the minimum standards for these services,” Jaanson said. Jaanson noted that funds for the organisation of social benefits and services are allocated to local governments through the equalisation and support fund. “By now it has appeared that many local governments have surpluses as regards these allocations,” Jaanson said. 55 motions to amend the Bill had been submitted in the Social Affairs Committee in the course of the second reading. Marika Tuus-Laul, Monika Haukanõmm and Jüri Jaanson took the floor during the debate. 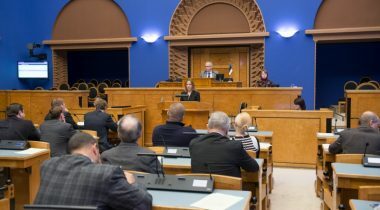 Monika Haukanõmm said that the current Social Welfare Act needs updating because it has been amended dozens of times since it was passed in 1995. In Haukanõmm’s opinion, this Bill is a compromise, and this solution is better than no solution at all. Marika Tuus-Laul said that local government associations have not given their approval to the Bill because the financing of the ensuring of services has not been agreed upon. 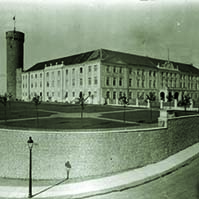 Tuus-Laul on behalf of the Estonian Centre Party Faction moved to suspend the second reading of the Bill. 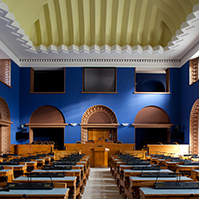 The result of voting: 27 members of the Riigikogu in favour and 48 against; thus, the motion to suspend the reading of the Bill was not supported. The Consumer Protection Bill (37 SE), initiated by the Government. The Bill will establish a new consolidated text of the Consumer Protection Act and transpose the relevant European Union directive on alternative dispute resolution for consumer disputes in the EU. Major amendments concern the creation of a web-based interactive platform in particular for the resolution of cross-border consumer disputes, and a prohibition on charging a fee for the bills presented to consumers. Under the Bill, in the future, service providers will not be allowed to charge a separate fee for bills regardless of whether they are electronic or paper bills. The Bill will extend possibilities for alternative dispute resolution. The Bill also contains provisions for implementation of the Regulation on online dispute resolution for consumer disputes in the European Union. In the future, it will be possible to create alternative dispute resolution (ADR) entities also at legal persons governed by private law. The Ministry of Economic Affairs and Communications will assess and recognise their activities and communicate information on the recognised entities to the European Commission. In connection with the fact that cross-border disputes have become more complicated and proceedings require additional time, the timeframe for the resolution of a dispute will extend from the current 72 calendar days to 90 days when the Act is passed. 33 motions to amend the Bill had been submitted in the Economic Affairs Committee in the course of the second reading. The Bill on Amendments to the Population Register Act, the Vital Statistics Registration Act and the State Fees Act (124 SE), initiated by the Government. The aim of the amendments proposed by the Bill is to reflect the existence and validity of e-residency in the population register and to supplement the data composition of the population register accordingly. Also, the issuing of data from the population register in the case of a legitimate interest of a person will be specified, and the Act will be amended by adding the right of a person to obtain information and data concerning his or her deceased spouse from the population register. The Bill on Amendments to the State Borders Act, the Police and Border Guard Act and the Act on Amendments to the State Borders Act, the Customs Act and the Police and Border Guard Act (141 SE), initiated by the Government. The primary objective of the Bill is to ensure implementation of the regulation concerning passenger name record data due to enter into force on 1 January 2016. For that, the legal framework concerning the transferring and processing of passenger name record data, established by the Act on amendments to the State Borders Act and other Acts, will be amended. According to the Bill, a legal basis for the processing of passenger name record data in a separate database will be established. The second aim of the Bill is to mitigate the conditions for the provision of service for the provider of the border crossing waiting area service, thereby ensuring equal treatment of potential service providers. The third aim of the Bill is to improve surveillance of the state border. The area where the police may travel without hindrance which is necessary for the police for the purpose of state border surveillance will be extended to private lands, in addition to private roads. The procedure for the stay on transboundary water bodies will be extended to smaller transboundary water bodies that so far have not been covered with regulation. Under the current State Borders Act, for border control the police may travel without hindrance on foot and by vehicles on temporary or private roads adjacent to the state border and transboundary water bodies or leading there and on shore paths without the consent of the owner or possessor. According to the Bill, the police can move on private lands, in addition to private roads. 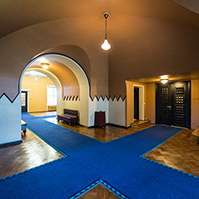 In connection with termination of the authority of Member of the Riigikogu Lauri Laasi, Oudekki Loone took the oath of office of a Member of the Riigikogu at the beginning of the sitting.